This new diabetes cookbook has 140 recipes which adhere to ADA diabetes nutrition guidelines. 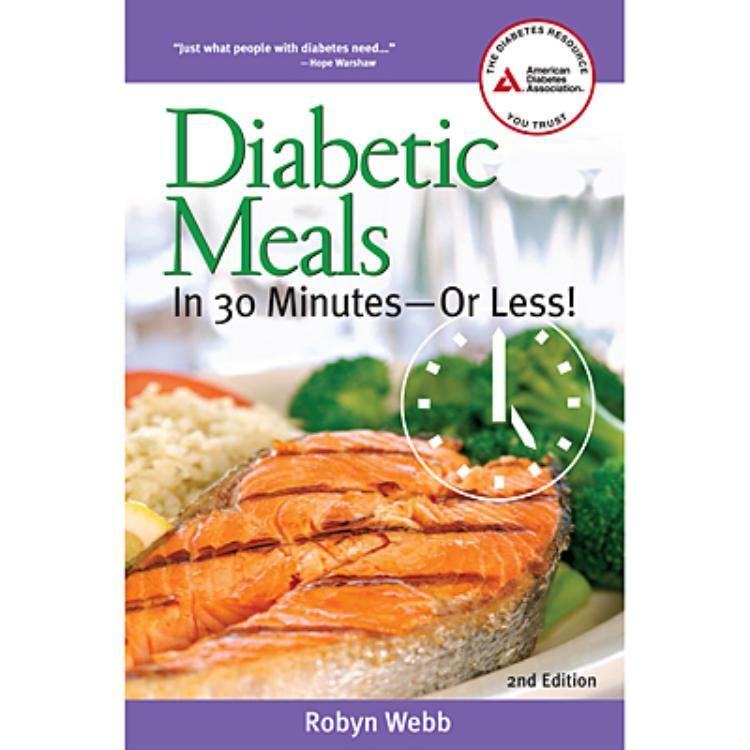 This new edition shows you how to prepare great-tasting meals specifically for people with diabetes, in 30 minutes or less. Each recipe now adheres to the new nutrition guidelines of the American Diabetes Association® and is guaranteed to be low in saturated fat. Whether you're looking for appetizers, desserts, soups, salads, or entrees, Diabetic Meals in 30 Minutes—Or Less! offers more than 140 great-tasting and fast recipes. This book is a great value. I can't review ! I haven't purchase this book!